Affordable, friendly and first-class family Dental Clinic that makes you feel at home. Enjoy the full range of dentistry, from regular check-ups and preventative care to fillings and root canal work, where the patient’s comfort and needs always come first. Dental work that requires planning, consultation, care and expertise – and in some cases multiple visits – can include dentures, braces, implants and more. Looking your best – always. is there to help you look and feel at your best. We offer teeth whitening procedures, veneers and bonding all at affordable prices. 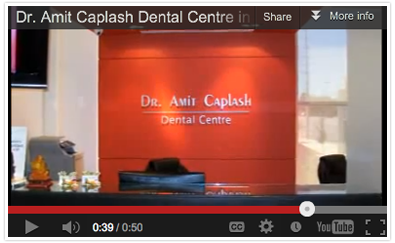 Welcome to Dr. Amit Caplash Dental Centre in Brampton! At Dr Amit Caplash Dental Centre we take great pride in offering you the best in dental care. Whether you or your dear ones are worried about pain, have had traumatic dental experiences in the past, or are ashamed of your own shortcomings, we will treat you with understanding and compassion. Our patients are our main priority. Hence, we aim to keep their best interest in mind. From the assuring front desk staff to our friendly dentists in Mississauga and state of the art machinery, we have everything covered for your convenience. We create healthy and beautiful smiles for the whole family. Our state of the art facility offers a wide spectrum of dental services designed to cater to the varying needs of patients. Whether it is a detailed dental restoration or a smile makeover, Dr Amit Caplash Dental Center offers the highest quality care at the best prices that you can easily afford. As you navigate through our web site, you will find information about our dentists, our location, and scheduling procedures. We are open seven days a week and offer emergency care in case of an oral mishap. You will be amazed how efficiently our services are provided. An added advantage is that we can adjust you according to the convenience of your schedule. Give us a call today to book an appointment or to know more about our dental clinic and dentists in Brampton, Mississauga! Just leaving the office of Dr. Caplash and his amazing team. I can say with 100% certainty that you have, or ever will have a dental experience like you will here. I am sitting in the waiting room after getting my teeth cleaned, polished waiting for my fiance to finish up.